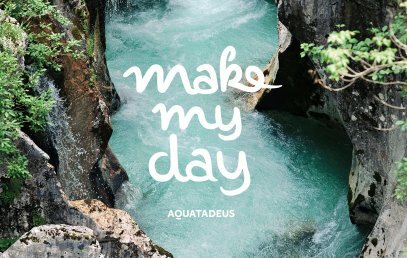 The therapeutic effect of healing water has been known to mankind since the 17th century. 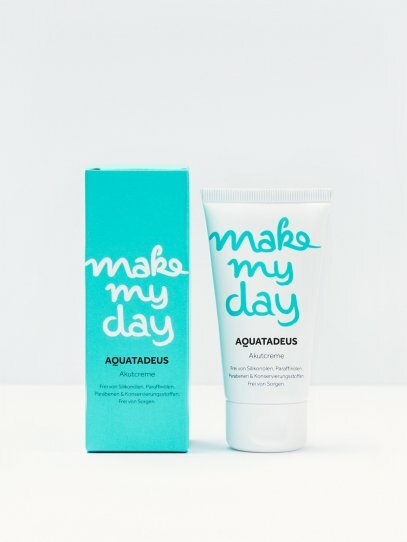 Now, Aquatadeus brings this healing aspect into their skin-care line – a line that makes the skin feel good again. 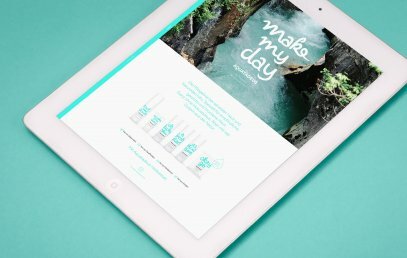 After moodley’s rebranding, the corporate design also reflects this newly found sense of well-being. 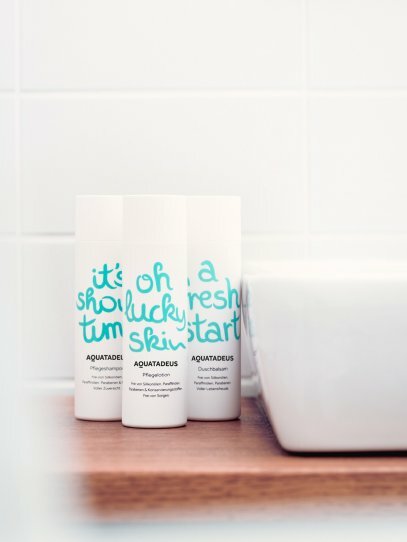 Optimistic, natural and honest – this is probably how Aquatadeus could best be described. 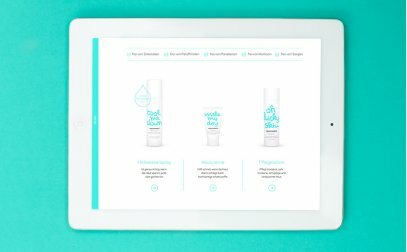 With their natural skincare line, the brand wants to take the secrecy out of neurodermatitis and communicate openly and honestly. 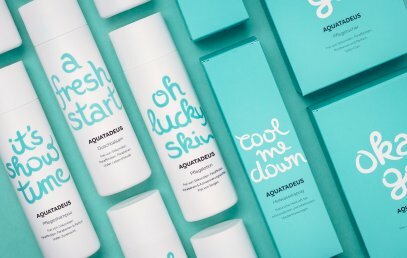 This self-confidence is now central to the new brand identity and the packaging design. 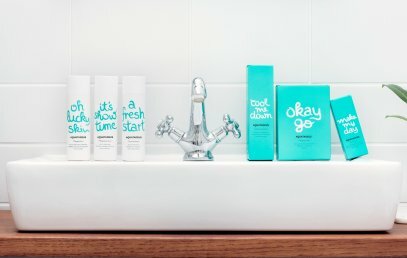 The new face of the brand is lively, young and naturally beautiful. 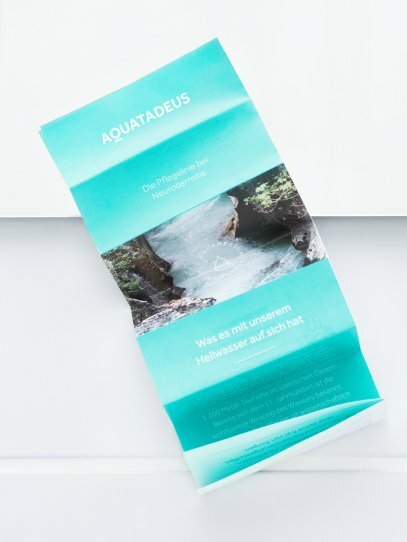 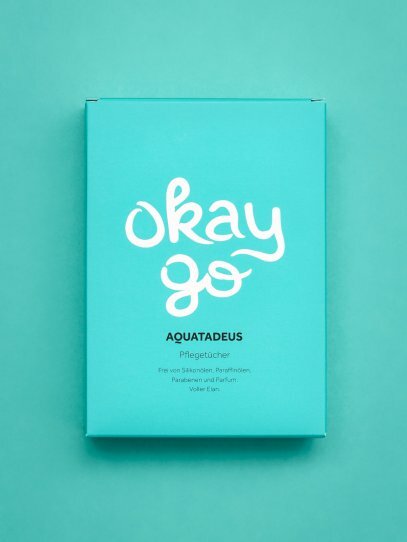 The cool freshness of the water is reflected in the color scheme: turquoise and white should appear as cool, but not cold and slightly reminiscent of the fountain of the Thaddäus spring. 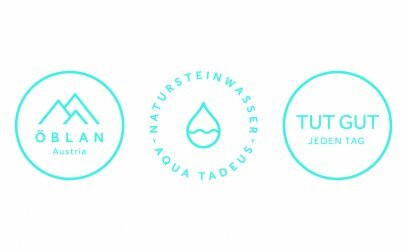 The newly developed logo and lettering were kept in the same colors and appear modern and personal. 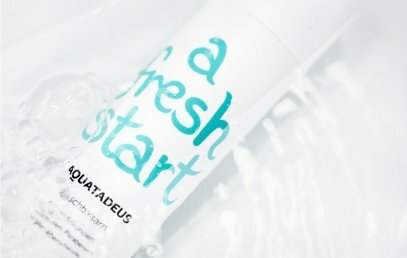 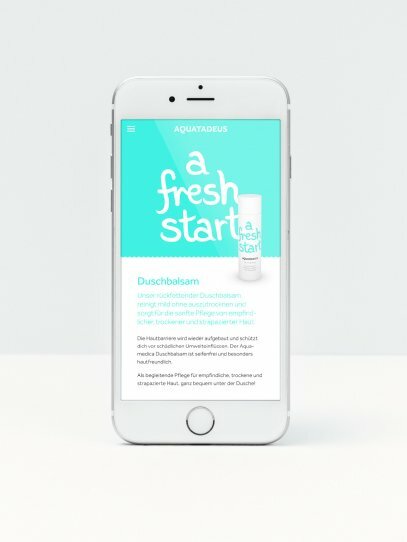 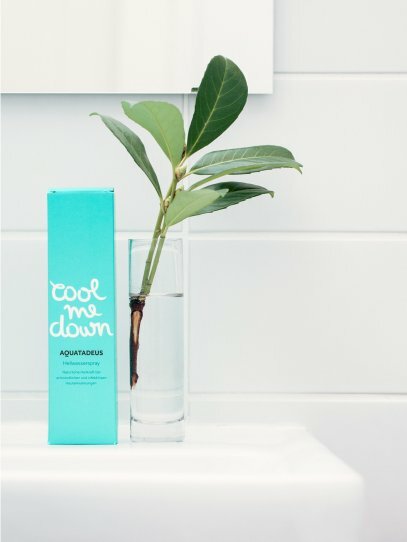 Aquatadeus is putting the pure naturalness in focus – and that clearly shows.